One of the park's oldest and most beautiful monuments is also the first public city monument dedicated to a woman -- the Josephine Shaw Lowell Memorial Fountain. 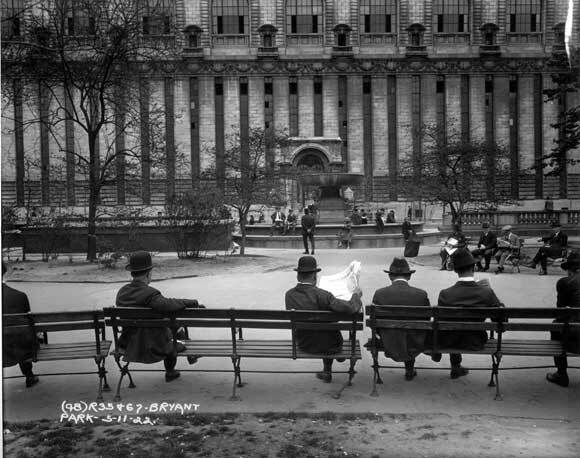 Designed by architect, landscape designer, and painter Charles Adams Platt, the fountain was originally intended for Corlear's Hook Park in the Lower East Side -- where Shaw Lowell had done the majority of her work -- but was instead erected in Bryant park on the east side, near the William Cullen Bryant monument, and behind the New York Public Library. This pink granite fountain, with a 32-foot diameter base, and 13-foot diameter upper basin mounted on a classical pedestal was dedicated on May 21, 1912. 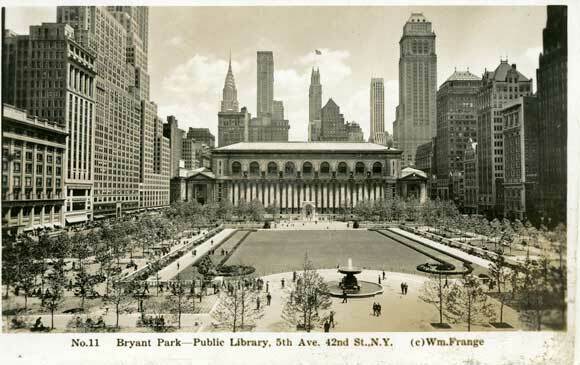 As part of the 1934 Moses renovation of the park it was moved to its present location, at the west side of the park, near Sixth Avenue. 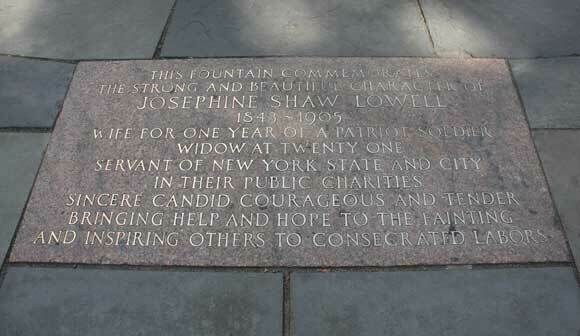 Josephine Shaw Lowell's life was devoted to helping those in need. (Oh, the digital age -- you can even "like" her on facebook!) Shortly after she married Charles Russel Shaw, she joined her husband on the front lines of the American Civil War in Virginia, tending to sick and wounded soldiers, and later, was the first woman appointed a Commissioner to the New York State Board of Charities. Embedded in the bluestone at the fountain's base, is a commemorative plaque. 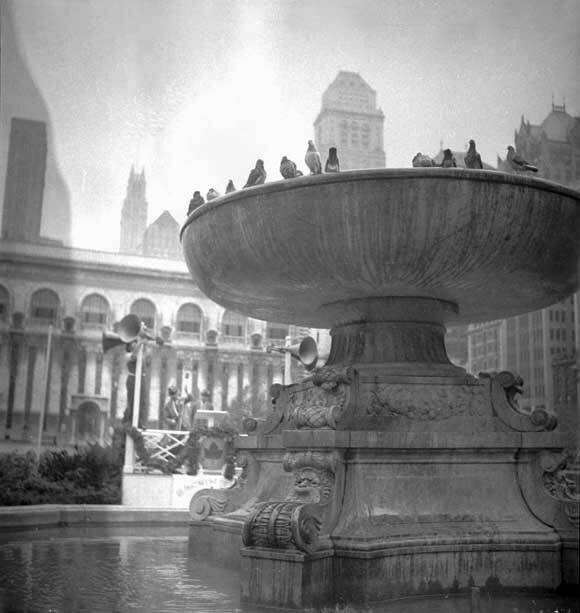 Ninety-nine years after its dedication, the Josephine Shaw Lowell fountain continues to amaze and inspire New Yorkers (watch carefully at the 1:30 mark), local news stations, and numerous park visitors, especially during colder months when the fountain is winterized and looks like this. In warmer months it also serves as an ad hoc wishing well. Ever wonder what happens with the coins? The Shaw Lowell fountain has a majestic look. It is a fitting tribute to the work done by Josephine Shaw Lowell. 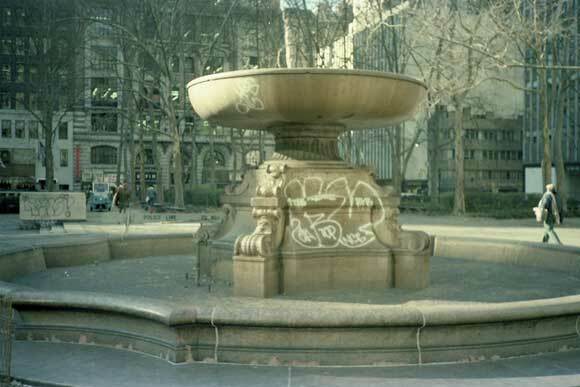 The fountain should be preserved for a lasting time.